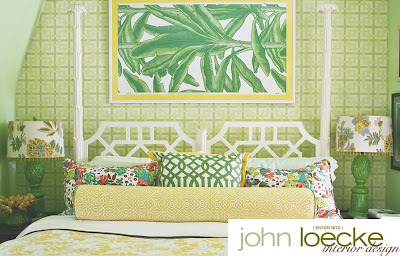 Chinoiserie headboard...Imperial Trellis accent pillow...varying shades of green...divine. All brought to you by punchy designer John Loecke. Love him...his dining room inspired mine. More on that in the future. What do you have planned for the weekend? I'll be working on a very exciting post for Monday and have a list of to-do items for the house. Carter will be laying baseboard (yay!) and finishing the kitchen. Hope you have a fab Fall weekend planned. 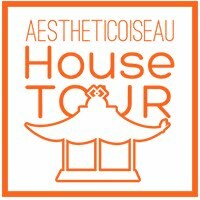 Thanks for a great first week at Aesthetic Oiseau. See you Monday!